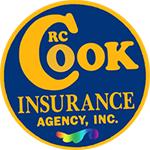 Get your free motorcycle insurance quote from RC Cook Insurance. Call 330-296-3628 for more information. We're located in Ravenna, OH. If you love to ride your motorcycle in Ohio there are some excellent places to enjoy the freedom that only a bike can provide. When the weather is agreeable, motorcycling is not only affordable transportation, but also a lot of fun. However, it is very important to be certain you have the right motorcycle insurance before you take to the road. Having an experienced insurance agent can be the best way to make sure your coverage is sufficient so you don't end up with a financial nightmare on your hands. Let's look at the example story of Fred P, to demonstrate why you need the right coverage in place. Fred loved riding his bike and whenever the weather was permitting, he would ride to work and back and take long trips on the weekend with friends. In fact, he decided to buy a smaller bike just for daily driving and use his big bike for road trips. This would save money on gas and he wouldn't put too many miles on the big bike. Plus, motorbike insurance on a smaller and older bike would be inexpensive. Fred found a ten year old 400 cc bike which fit his needs fairly well for driving in the city each day. Plus, the bike was cheap since it needed some TLC. Fred bought the bike and fixed it up and when it was time for cycle insurance, he wanted the cheapest possible policy. He bought liability only and the minimal requirements. After all, how much damage can a midsized motorcycle cause? Fred's plan for saving money worked well for about a year but if you drive long enough, eventually some kind of traffic accident is going to happen. On the way home from work one evening, Fred's bike hit a patch of sand and skidded into an intersection. This caused the car in front of him to swerve and hit the car behind him head-on when it swerved. The head-on collision resulted in two serious injuries and Fred's bike was "at fault" in the accident so his insurance had to pay. However, the most his insurance would pay was $50,000 and total claims came to almost twice that much. This brought a great deal of financial hardship into Fred's life, which could have been avoided.